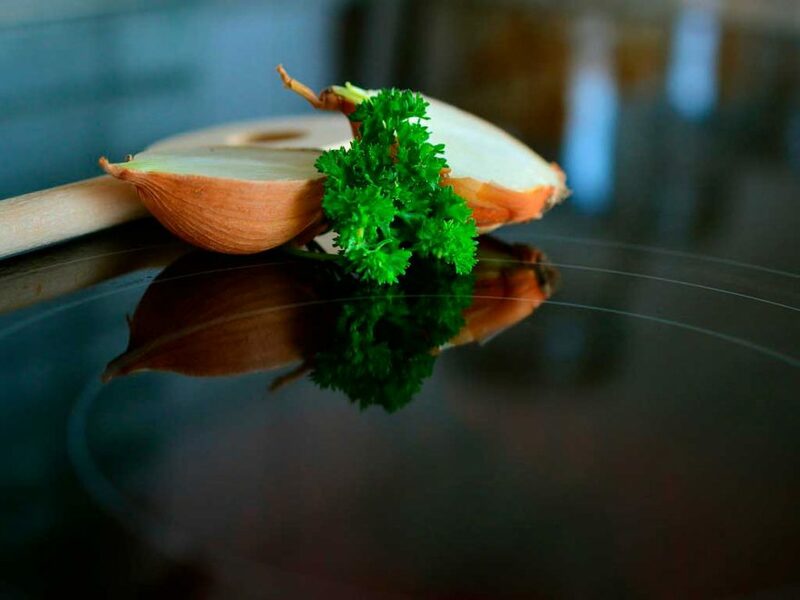 When cooking on a stove top, every once in while water or some food residue might spill over on to your ceramic stove top. These stains need to be removed immediately to avoid permanent streaking. If you are looking for the best tips on how to clean a ceramic stove top, check out some of the easiest ways you can do so at home. Take a small spray bottle and add white vinegar to this. Then, sprinkle a few pinches of baking soda into this mixture and shake it well. Take this mixture and spray it generously over your ceramic stove top. Take another large bowl and fill it up with hot water. Add a few drops of dishwashing soap to this water and mix it well to create a soapy liquid. Take a large washcloth and soak it in this hot, soapy water solution. Ensure that you choose a washcloth which is large enough to cover the entire area where you’ve placed the baking soda and vinegar solution. If you do not have a cloth large enough, you can use more than one. However, make sure that you cover the entire stove top with this cloth soaked in hot, soapy water. Wring out any excess water from the washcloth and place it over the stove top. After 15 minutes, use the cloth to wipe off the baking soda and vinegar solution from the stove top. Use large, circular motions with a gentle hand to very gently apply the baking soda as an exfoliator and wipe it off completely from the stove top. Once you have done this, use a damp sponge or another washcloth to wipe off the remaining baking soda and vinegar mixture from the stove top and allow it to air dry. Make a mix of ammonia and water in a small bowl, or pour out an ammonia-based cleaner in it. Take a damp sponge and dip it into the ammonia water mix. Wring out any excess liquid. Use this sponge, or a cloth, to wipe down the ceramic stove top. Be sure not to use anything abrasive, such as steel wool, as this might scratch and damage your stove top. Wipe down your stove top using a dampened washcloth and allow it to dry naturally. You can use either a spatula or a razor scraper for this method. If you decide to use the razor scraper, you need to be very careful as not to apply too much pressure to the ceramic surface so that you do not damage it. Take the spatula or the razor scraper and scrape off any debris or residue which might be stuck on to your stove top. Now, mix some warm water and dishwashing soap. Dip a sponge into the soapy water mixture. Wring out any excess water. Take the sponge and gently use it to scrub away at the loosened debris and residue on your ceramic stove top. If you find any stubborn pieces still stuck on, you can use the sponge on them to loosen them up and then use the spatula or razor scraper on them again. Take a dampened washcloth and use it to wipe away all the loose debris and residue from the stove top. Wait for your stove to cool down completely before you use this method. Pour out a small amount of olive oil directly on to those areas where the food residue and debris are stuck on stubbornly. Use a spatula to start scraping off the debris from the stove top lightly. It should have loosened up slightly by now, making it easier to remove. Create a baking soda and water mixture in a bowl. You can even add a few drops of lemon to this mixture. Dip a sponge into the baking soda mixture and wring out any excess liquid from the sponge. Using light, circular motions, target the stubborn debris and residue and work on them gently. Now, take some clean paper towel and wipe down the entire stove top. If you find any more stains or residue, you can repeat the process.